[JURIST] Egyptian authorities on Saturday freed Egyptian-American prisoner Mohammed Soltan, who had been sentenced to life in prison and had been on a hunger strike for over a year. As a precondition to Soltan’s release, he had to renounce his Egyptian citizenship [AP report]. Soltan was convicted on charges of financing an anti-government sit-in and spreading “false news.” Soltan is a former Obama campaigner and Ohio State University graduate. Authorities came to the family’s home looking for Soltan’s father and arrested him instead. His father was later found and detained. Soltan had been working as a translator for US and international news during the protests surrounding the 2013 ouster of ex-president Mohammed Morsi [BBC profile]. He had been on a 16-month hunger strike before he was freed, and his family stated his health was deteriorating fast. 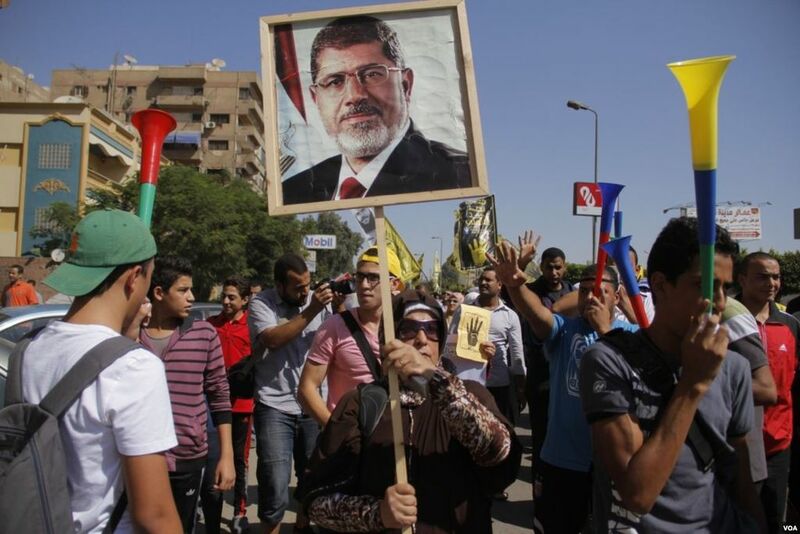 Egyptian courts continue to prosecute supporters of former president Morsi. Earlier this month an Egyptian court sentenced 30 members of the Muslim Brotherhood to life imprisonment on charges of violent behavior, and another court sentenced [JURIST reports] Morsi and more than 100 others to death for their involvement in a mass prison break in 2011. Many of Morsi’s supporters belong to the Muslim Brotherhood and have become targets of current President Abdul Fattah al-Sisi [BBC profile]. Also this month Egyptian authorities executed [JURIST report] six men convicted of killing two Egyptian soldiers. And earlier in May Morsi supporters were sentenced [JURIST report] to life in prison for illegal protests and acts of violence which were destructive to the Al-Marg district of Cairo, but were said to be in protest of death sentences handed down for members of the Muslim Brotherhood. Members of the Brotherhood were also sentenced to death [JURIST report] earlier this year on charges of murder and possession of firearms stemming from clashes that took place days before Morsi’s ouster.